If you want to dress your backyard up for fall without having a full-on pumpkin patch on your lawn, we get it. Save the gourds for the holidays and try out a few more chic fall decorating ideas instead. 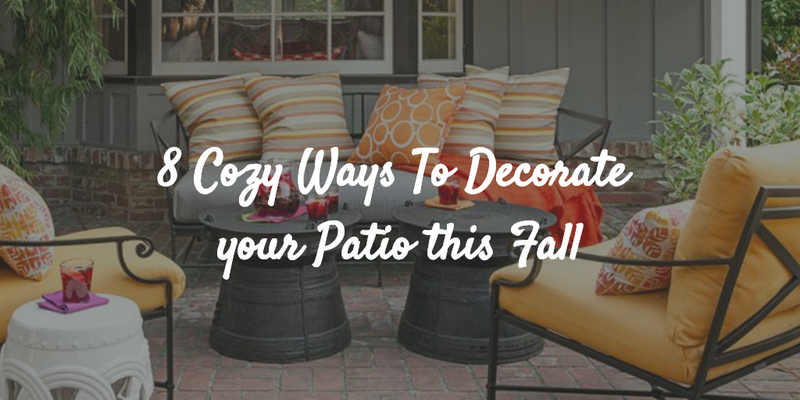 We’ve got plenty of tips to transition your porch, patio, or backyard into autumn. 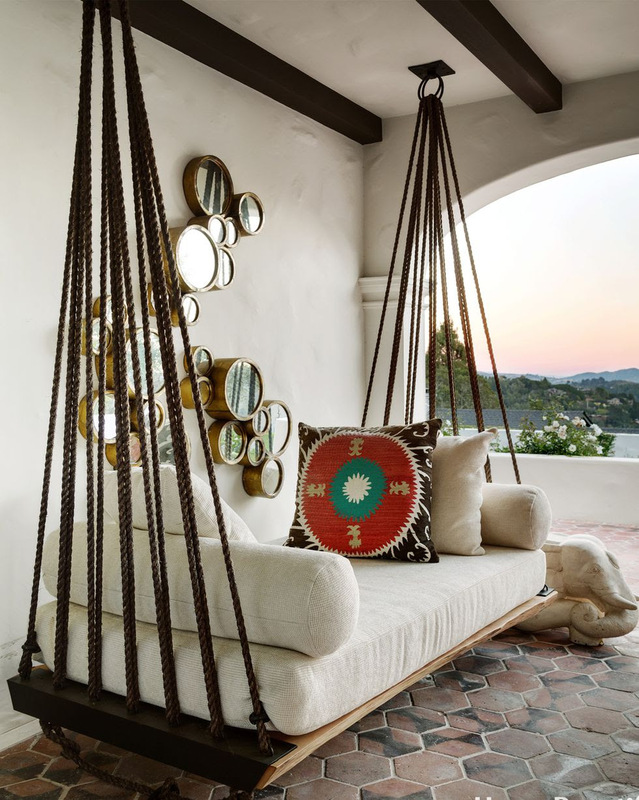 Snuggling up on an outdoor swing looks like an all-weather activity when it’s tucked away in a snug alcove, protected from the breeze. Curling up outside is even cozier when you’ve got hanging lanterns above. Add a fireplace and we’re totally done for. 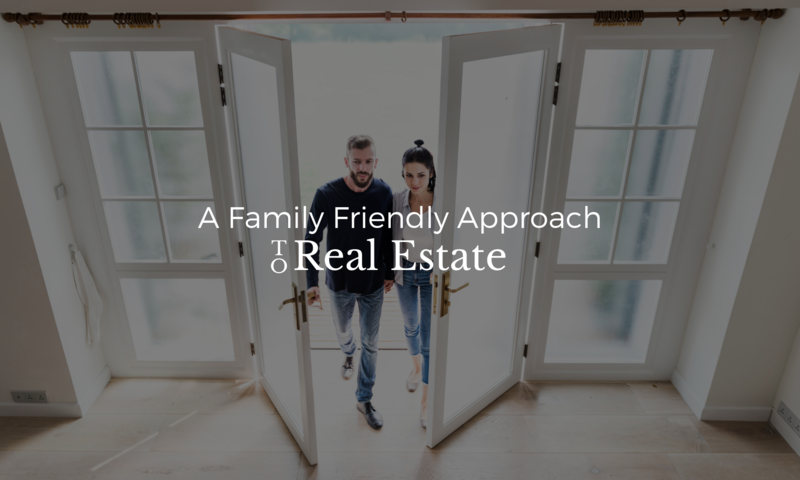 Pull back the thick drapes during the day, or turn on the paper lanterns at night. Either way, this pagoda looks perfectly dreamy. Create a relaxing year-round space with insulated curtains and a fireplace. That way, you can keep the elements out but still be outside. 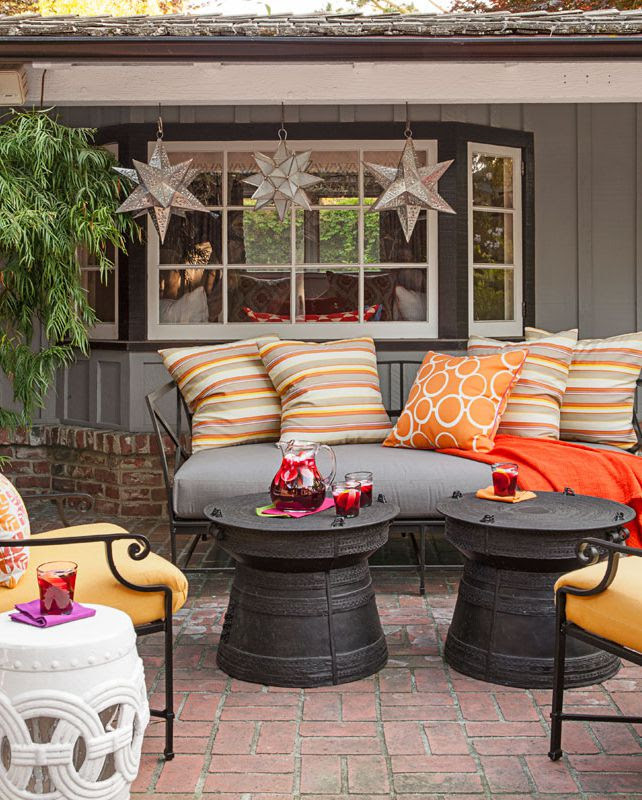 Change out summery textiles with fall-hued pillows and cushions. 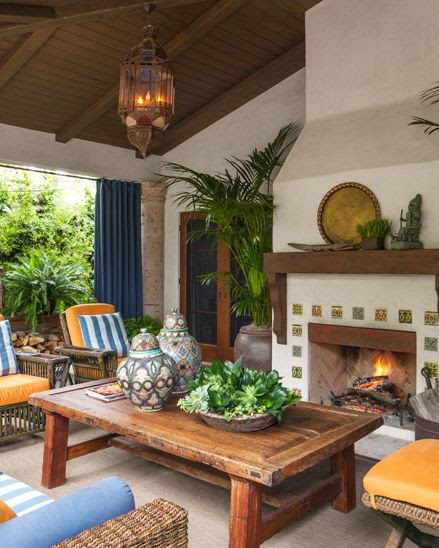 This California house mixed orange fabrics with cool gray tones for the perfect balance. 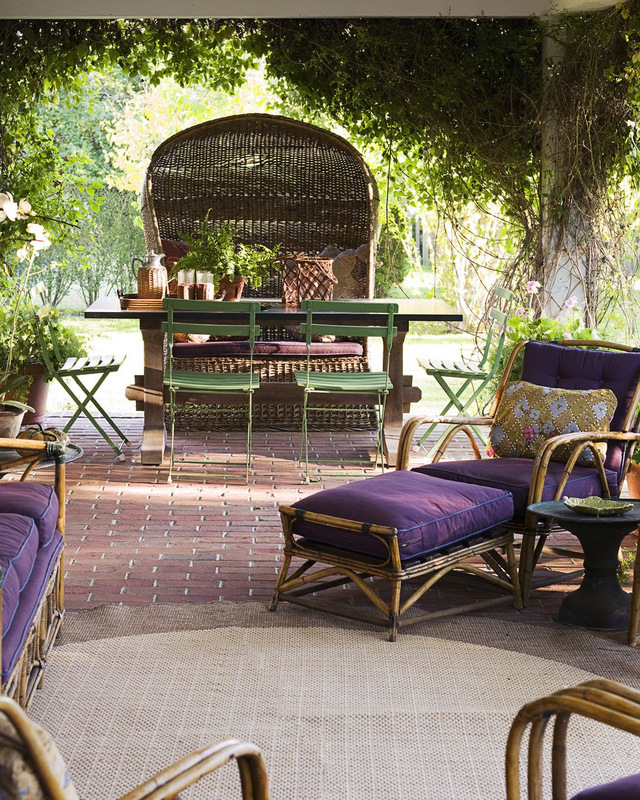 The cushioned sofa and chaise lounge look comfy, but the star of this open-air living room is the antique Porter’s chair. 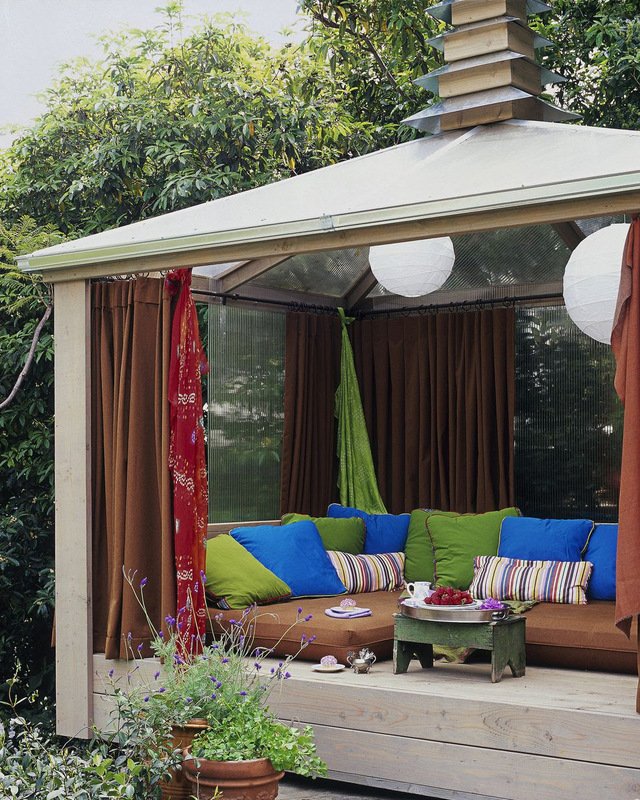 The canopied nook provides the perfect outdoor reading spot, and the best seat at the dining table. 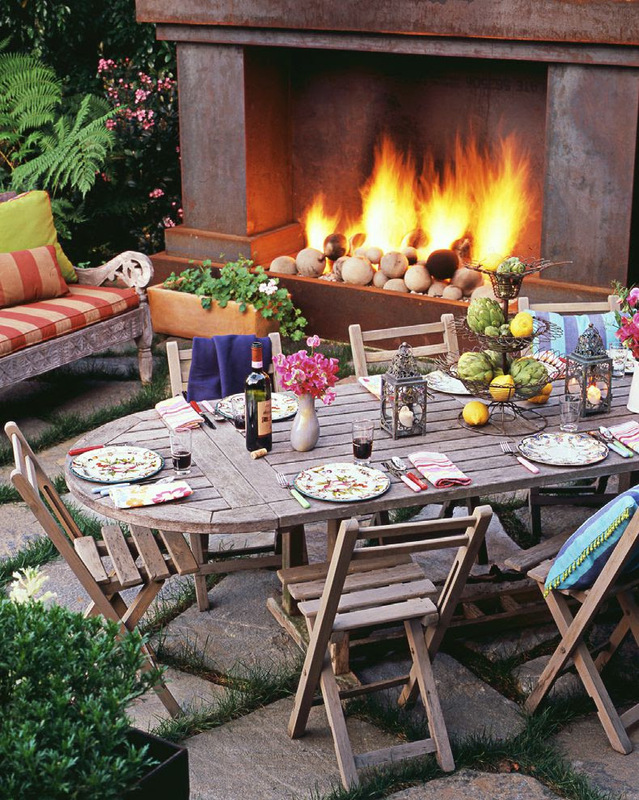 Extend the season of alfresco dining with a freestanding chimney. 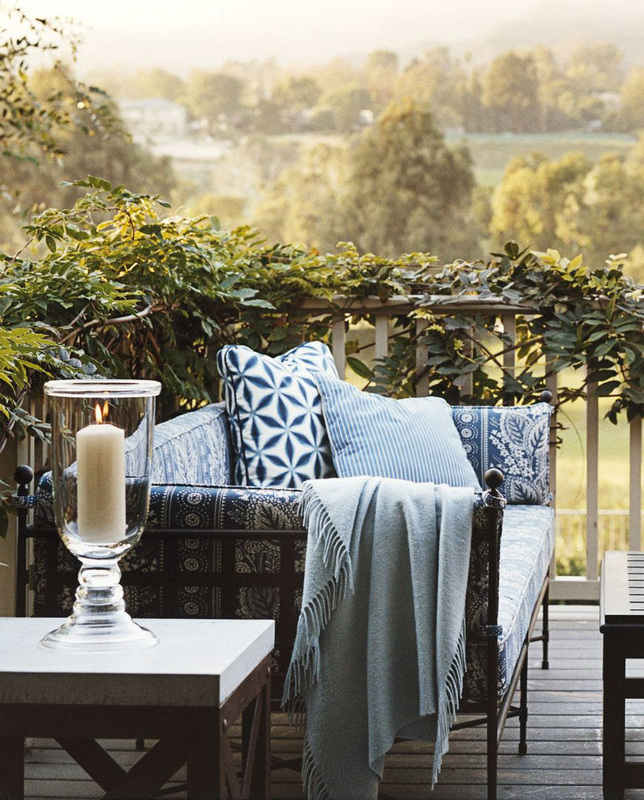 There’s no reason why outdoor furniture shouldn’t be as comfortable as indoor furniture. Add cozy pillows and throw blankets, and you’ll never want to come inside.